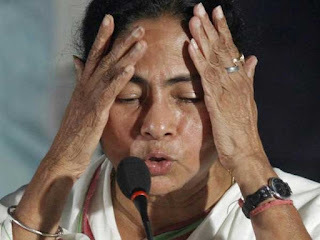 New Delhi [India] : In wake of parts of West Bengal witnessing extreme violence, the Bharatiya Janata Party (BJP) on Sunday said that Chief Minister Mamata Banerjee-led state is on the verge of becoming another Kashmir. BJP leader Meenakshi Lekhi said that people are not safe in Bengal any more. "I want to say that Bengal is on the way to become Kashmir. Lot of people are getting killed, people are not safe. The government is not taking anything to control the situation. Bangladeshi's are entering India and living in India peacefully," said Lekhi. Echoing similar sentiments another BJP leader Satyapal Singh said that Banerjee is encouraging communal forces. "The situation at West Bengal has deteriorated because of the wrong policies used by Mamata Banerjee. Law and order situation has become worse, police has lost its identity. If the situation does not get stable soon, it would not be good for the country. We were not allowed visit Basirhat, this explains that Mamata Banerjee wants to hide the ground reality and facts. She is encouraging the communal forces," Singh told ANI. Yesterday, Ministry of Home Affairs (MHA) said that at least four companies of the Border Security Forces (BSF) forces that were deployed by the Centre were turned back by the West Bengal Government. According to the sources, the Centre had already sent 11 companies of personnel to Darjeeling to quell the unrest taken out by people demanding a separate Gorkhaland. Hours before, Mamata accused the Centre of creating tension in the state. She alleged that there was non-cooperation from the Centre to curb violence in the state. Mamata further said that the forces were not deployed on time, which further flared up violence around the West Bengal border. Fresh tension was reported in Basirhat area days after too forcing the police to lob tear gas shells and resort to baton charge even as the state government decided to ban some organisations for allegedly instigating people.